The Mini Velo is definitely a quick bicycle. With its 20” tires, I don’t really need to use the smaller front gear because now I can stay with the largest front gear always even when climbing hills (I can now stick with the large gear during my 7 mile climb on my way home and stay constantly at 10 plus mph whereas I can only climb at an average speed of 8 mph with my regular bike—pathetic when compared to the Tour de France average climb pace of 21 to 30 mph, LOL. The Mini Velo gives you a quick and fast head start on everyone, and tends to make the Spandex cyclist want to race and catch up with you (probably because of ego and knowing that a cyclist with smaller tires just passed them). And I also find the Mini Velo more comfortable when riding in the rain. 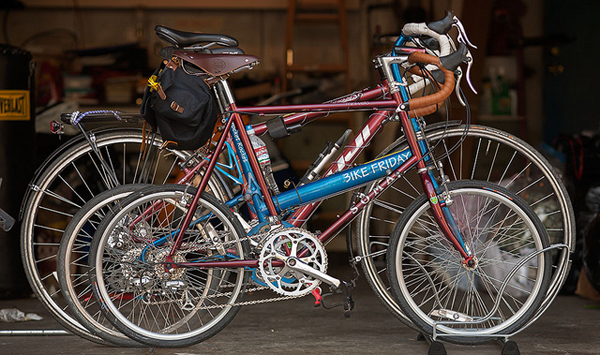 You don’t really need fenders because the tires are small—my regular bike became uncomfortable during the rain because I had no fenders so the mud and sand kicked up on me. 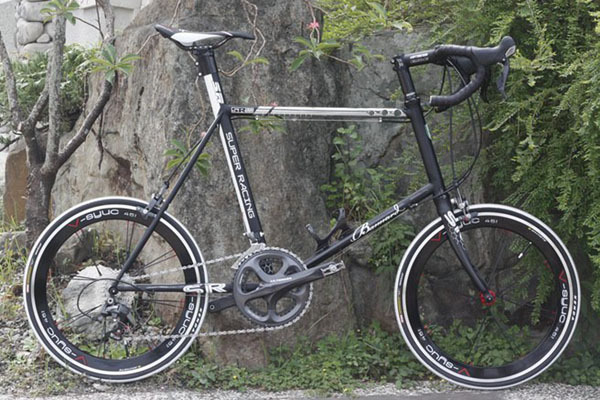 But it is not like that with the Mini Velo. When exiting the Panhandle Park while riding the Mini Velo and then making a left turn on Oak Street to enter the Wiggle, I tend to beat the traffic light (which I think starts with an 8 second count until it turns red) on Divisadero Street (quickly/immediately and carefully going 35 mph). I beat the 8 second count to 2 seconds left on my ride today. With my regular road bike, I could not really immediately start quickly at 30 plus mph even with racing tires—I needed an extra 1 and a half second to get going with the largest gear. I came close to catching up the light but it was too dangerous so I skidded. But it seems easier with the Mini Velo so for me, this is proof enough that the Mini Velo is quick and gives you an immediate and fast head start—a bike definitely perfect for city touring and commuting. I would say that it is good for long rides also. But I still prefer my regular road bike for a 100 plus miles ride due to the long term comfort factor that I believe a regular road bike definitely and always provides. That’s a good review, Dante. The nimbleness is what I enjoy riding it. Although I have already quit my ridiculous bike riding of racing through these lights, I’m glad the city stopped (or it looks like they did last time I biked there) the back-to-back countdown on those traffic lights. When I made a left turn to Oak St., the traffic light on the corner of Oak and Broderick were already red and did not do the usual countdown–which was in the past very tempting for cyclists to speed up and beat the traffic light count on the Broderick/Oak corner and then speed up again to beat the count on the corner of Divisadero/Oak. It seemed like those lights were a temptation for the cyclist to hurry and beat. Well anyway, I am glad they made a change last I biked there. 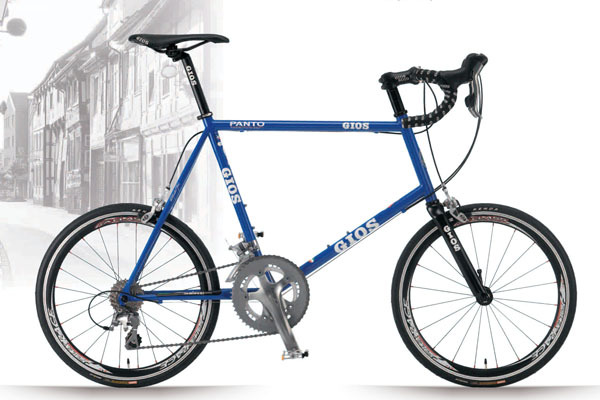 I’ve got a 2013 Gios Antico arriving shortly (in a couple of weeks) and cannot wait! 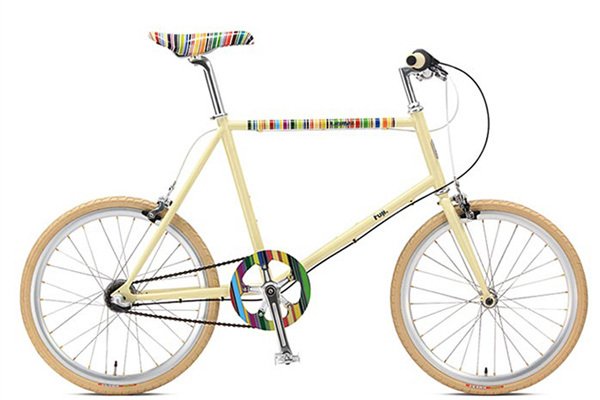 I love unusual bikes and this one caught my attention in a magazine. 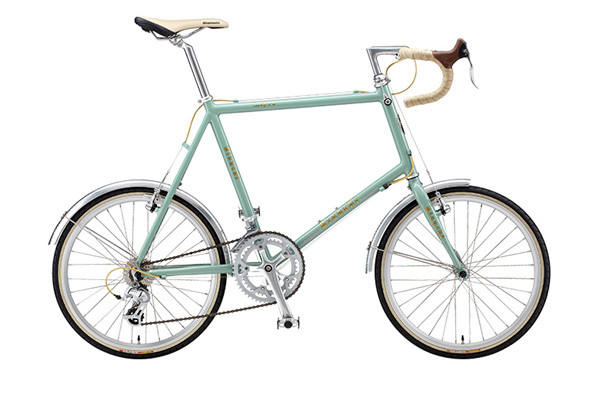 The design and layout is almost the same as the Mercier Nano but abit more retro looking, especially in the Gios blue. That’s a beautiful bike! Did you have it shipped internationally? I would like to get one too but I am afraid of getting it shipped all the way from Japan. Nah. The local bike shop had a display model sitting there and I saw it on the web. Currently going through a renovation at home and have no shed to store the bike. Will be getting that soon though. I asked if I could have it on lay-buy so that i could just pay it off in three months. So did not get it sent from overseas. I guess I was lucky there. Depending on your location there may just be a bike shop near you with a mini velo hanging around. 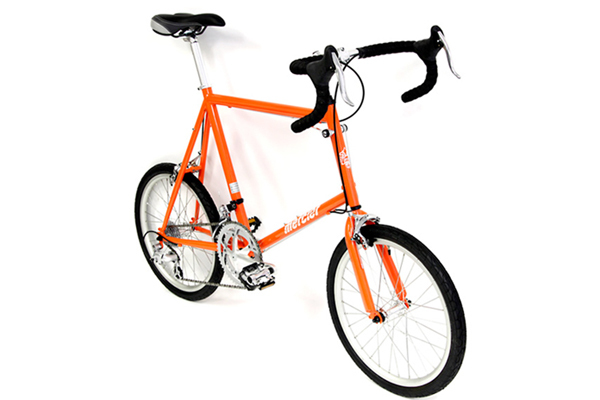 I found one USA company Respect Cycles http://www.respectcycles.com that started this year. 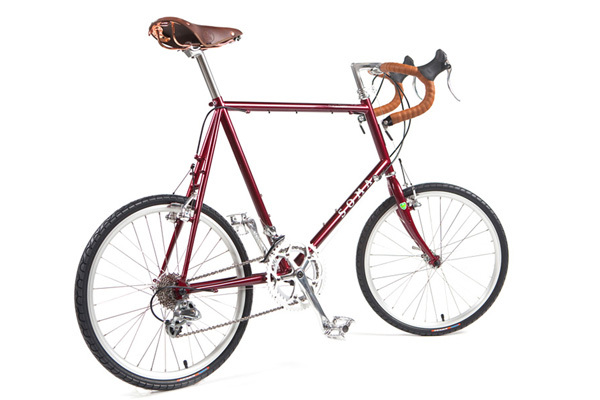 They have a single speed, but on their website they appear to be releasing geared models soon. Both a 2 speed sram automatix and 8 speed grip shift sturmy. I’ll be in the Washington DC area in November and plan on going by one of the shops that they have listed on the website to give it a ride. I love minivelo bikes. My Gios Panto gets double takes and comments like no other. Thanks for the article. The Fuji Comet is sweet. I’ve ridden a few minivelos and this is by far my favorite- something about CroMo that just makes it ride so sweet. 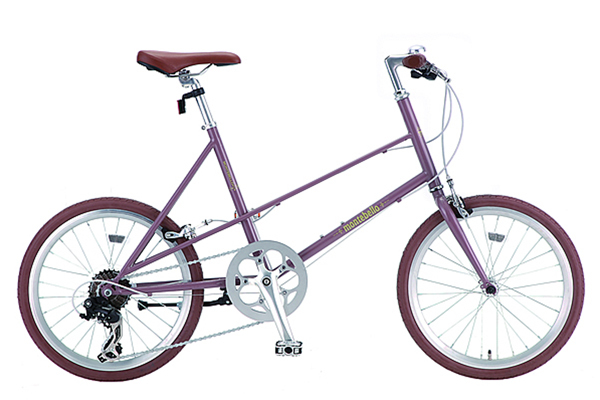 I am going to upgrade the cranks and get a smaller rear cog- but other than that what a great bike for the bay!